There are a lot of things we like about Christmas, but the excuse to start the day with a piece of chocolate is up there as one of the best. 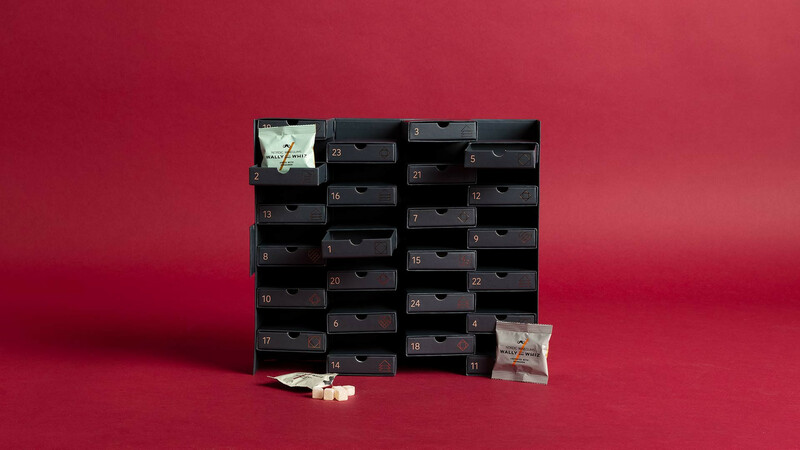 And, what's more, these days advent calendars aren't just limited to chocolate. Yes, really. That means you could be starting your day with a package of artisan popcorn, a dram of whisky or rum… Or even a full-sized beer. Yeah, good luck at work with that one. 'Tis the season, after all. 24 little windows with a cheeky chunk of choccy hiding behind them is good and all, but we're after something a bit more grown up, and something that oozes a little bit of London at the same time. 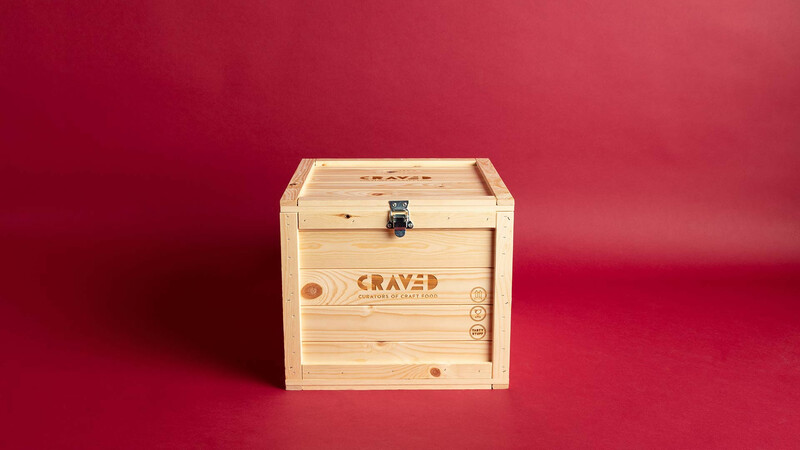 That's where Craved London comes in: the capital's only craft grub delivery service has carefully curated this luxury box of beer from London breweries for your delectation this festive season – just don't drink them all at once. Inside, you'll find the likes of Anspach & Hobday's smoked brown, Brick Brewery's blackcurrant and sumac sour, Five Points' Railway Porter and Moncada's Impy Custard stout. To borrow a phrase from our very own Beer Club – it's London, one beer at a time. You know the feeling: you wake up like an excited little schoolchild one morning in December, pull open door number 17 in your Advent calendar, pull out a beautiful, wax-sealed, Navy-proof Caribbean rum and take a sip. 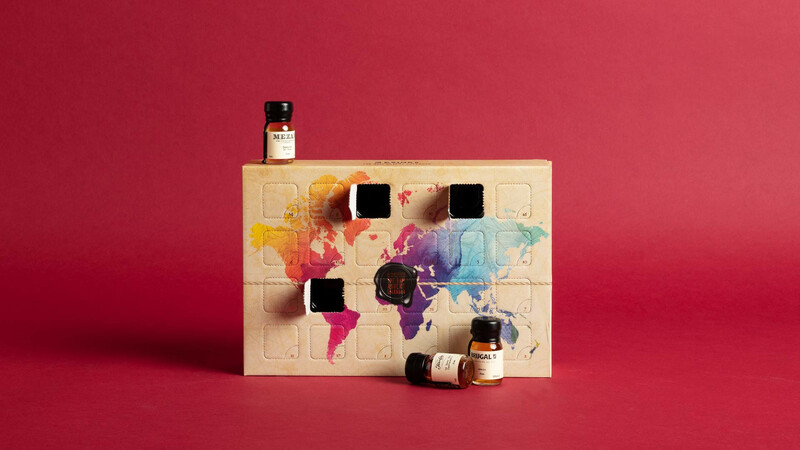 OK, maybe you can save the drinking till post-5pm, but either way we love these small, perfectly formed Advent calendars from Drinks by the Dram. The premise is simple: each door contains a different craft rum of varying styles from all over the world – blended, spiced, single-barrel and age-statements. And if rum's not massively your thing, fret not: DBTD also does gin, whisky, bourbon, armagnac, cognac, and almost any spirit you can think of, as well as mixed ones, too. A wee dram of something strong for 25 days straight? That's something we can get on board with. Want a beer every morning until the big day? Want them brewery-fresh when you pull them out of the calendar? 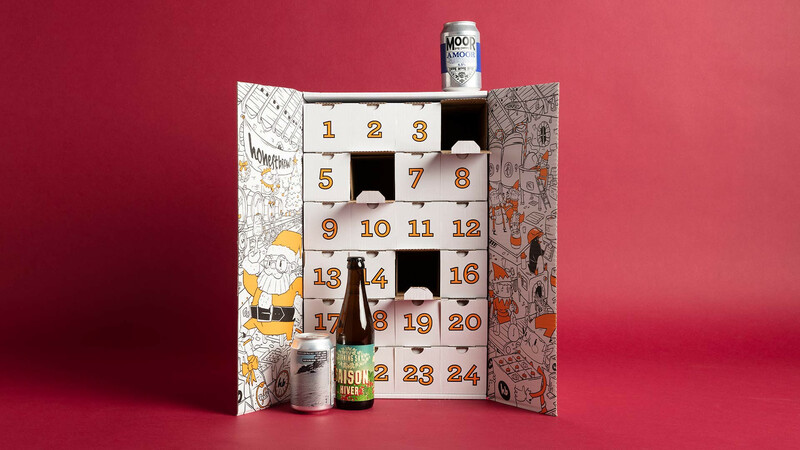 Get your mitts on the HonestBrew Advent Calendar, then. Complete with 24 fine brews from some of the world's most forward thinking brewers, this calendar makes Christmas look like the support act. As well as being jam-packed with super-limited-edition collabs from Northern Monk and Cloudwater, HonestBrew loads all the hoppiest beers near the front of the calendar to keep them at their absolute best. 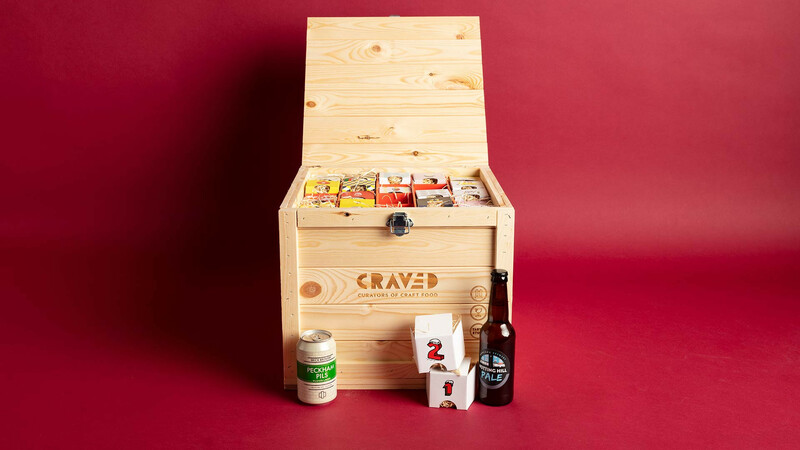 Upgrade to the Ultimate Calendar (£139.95) and you'll get the very finest limited-edition brews (and slightly bigger 440ml tinnies) from the likes of Mikkeller and Cloudwater. Yep, there's not a bad one in the box. What’s better than a bottle of wine? Not much, but we’ll wager 25 bottles of wine’ll do it. That’s what you’ll get with Virgin Wine’s biggest and best ever Advent calendar. 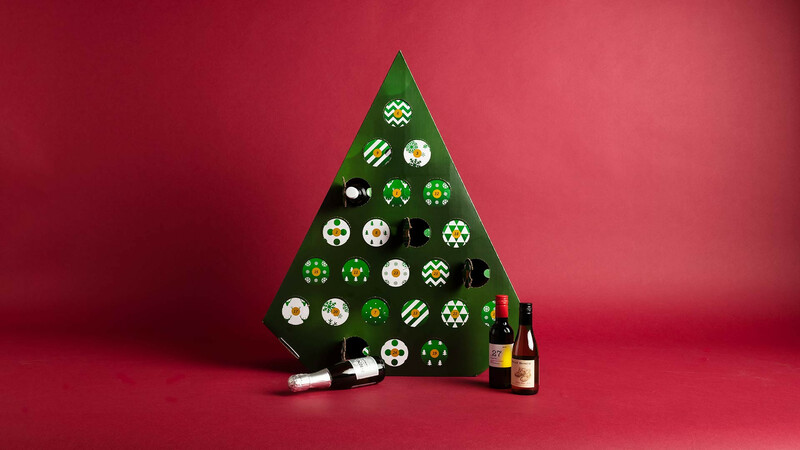 Shaped like a glorious Christmas tree, it’ll dole you out a tasting bottle of some of the best wines in Virgin’s extensive range. Not only that, but if you go to Virgin Wines’ website, you’ll be able to take part in an interactive tasting session for every day of Advent. The prize for doing all 25? Nothing. A head full to bursting with useful wine knowledge ahead of the biggest booze-up of the year. Oh, and a few mates telling you you should probably get out more. But you’ve got 25 bottles of wine, so you win. If you've ever been to Copenhagen, Oslo, Malmo, Helsinki, Aarhus, Stockholm or pretty much any other of Scandinavia's big cities, you'll know: when it comes to food, they do things a little differently in the Nordics. 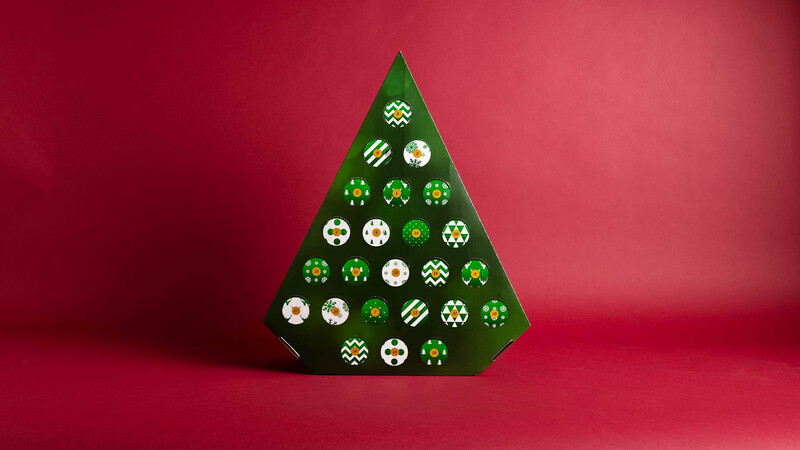 That's why, when Scandi candy extraordinaires Wally & Whiz do Advent calendars full of sweets, it's more "Liquorice & Sea Buckthorn" than, er, strawberry. 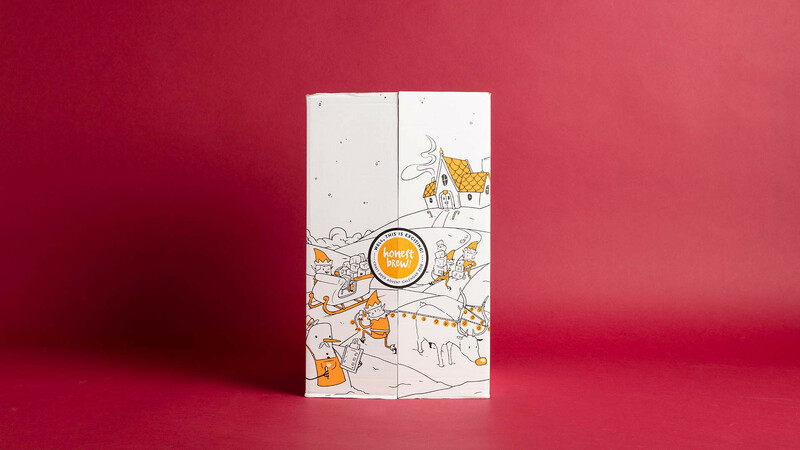 With this cute fold-out calendar, you'll be able to sample a range of funky Nordic flavours in gummy form, one for each day of Advent. Think of it as a really drawn-out tasting menu. Which is exactly what you'll find at some of the best restaurants in the region. Magnus Nilsson would approve. If you're anything like us, that tiny piece of choc you get in your Advent calendar each day disappears pretty damn quickly. 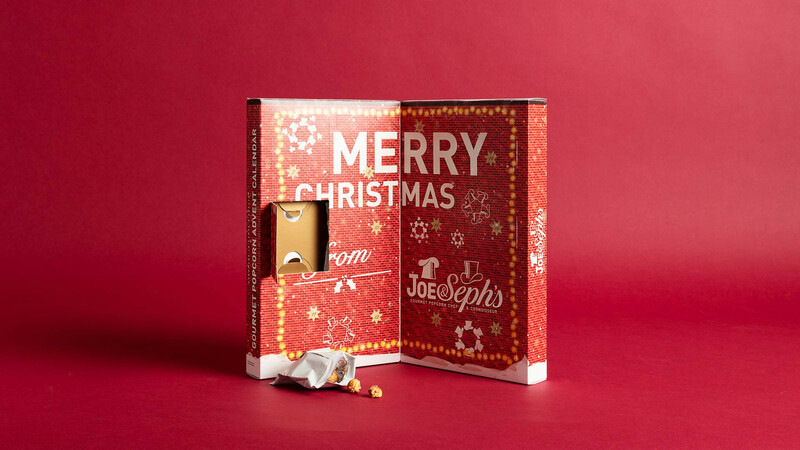 For something that might take you a little longer to scoff, try Joe & Seph's Gourmet Popcorn Advent calendar. 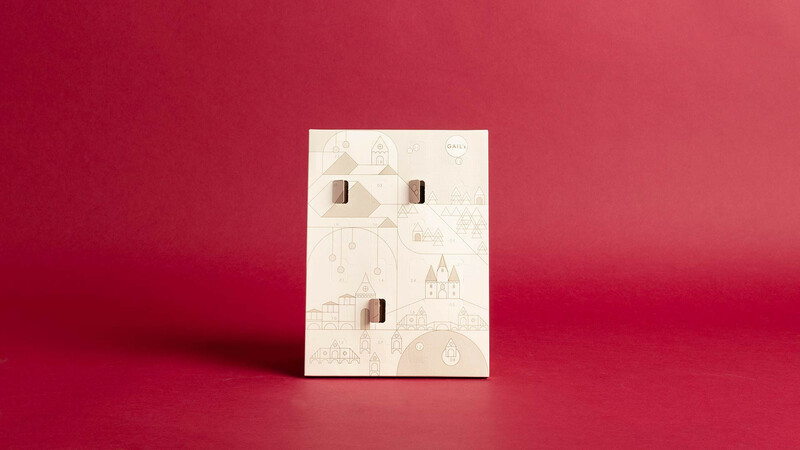 Each door hides a parcel of popcorn in one of 12 off-the-wall flavours: salted caramel, caramel and belgian chocolate, caramel and white chocolate, toffee apple and cinnamon, banoffee pie, raspberry cheesecake, cookies and cream, strawberries and cream, white chocolate and strawberry, double chocolate, classic caramel and orange chocolate. 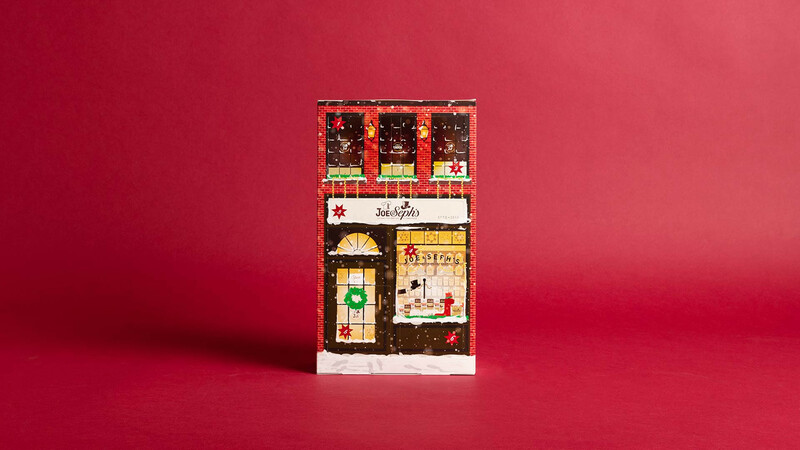 What's more, the Advent calendar itself is as sweet as they come, with the front decoration depicting a Victorian-style shop front. Plain chocolate? Boring. Chocolate studded with crunchy, caramelised little bits of GAIL's French dark sourdough? Nope, not boring; not boring at all. 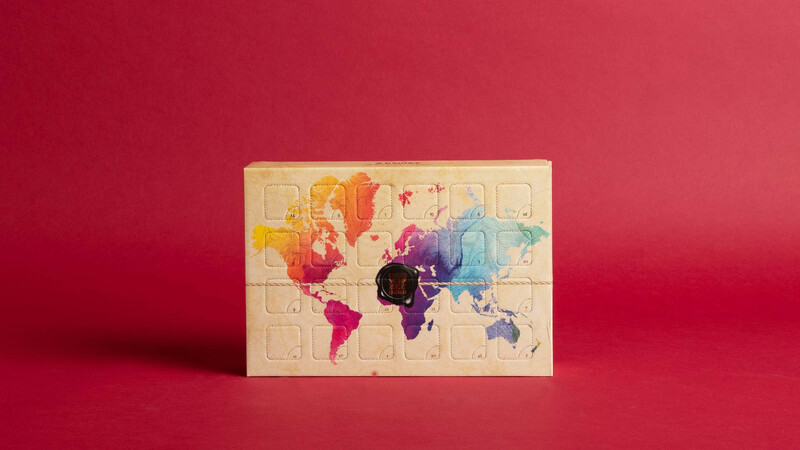 We literally can't get enough of GAIL's Christmas collaboration with Notting Hill chocolatiers Melt London. 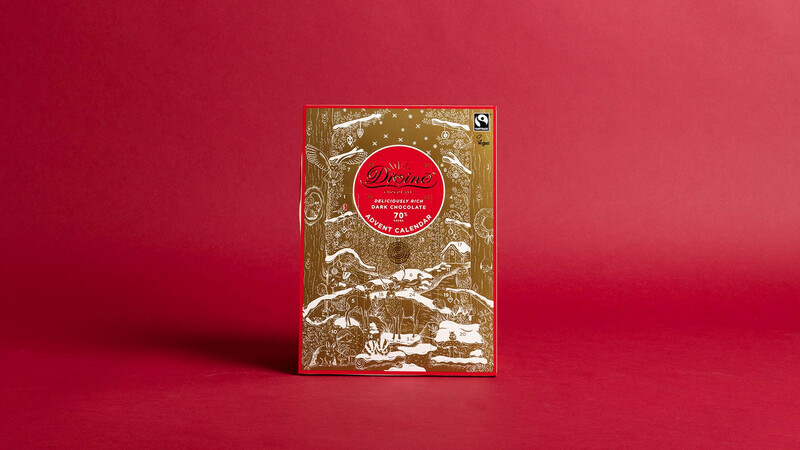 In fact, a piece or five may have fallen in our mouths while we were snapping this gorgeous-looking calendar, and we can attest to the chocolate being totally and utterly moreish. The biggest challenge will be not eating it all in one go – good luck lasting till Christmas Eve. 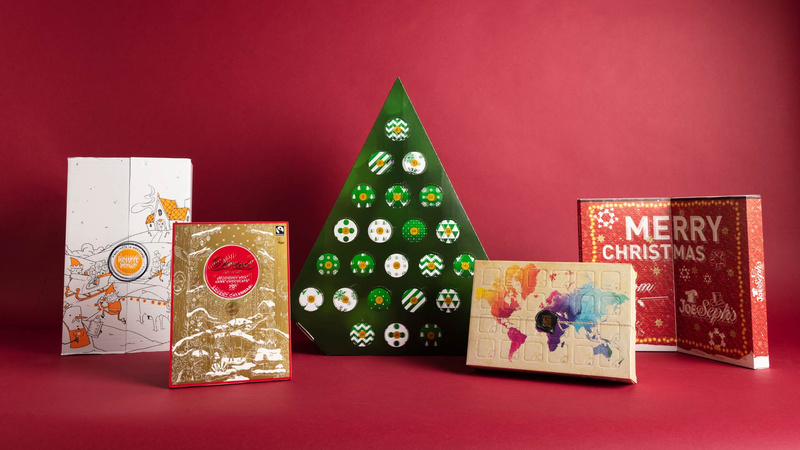 Oh, and we can tell you now that straight-up chocolate Advent calendars will never be the same again. Sorry. £18; pick one up at your nearest GAIL'S. If there’s something we love more than chocolate that tastes good, it’s chocolate that tastes good and does good. 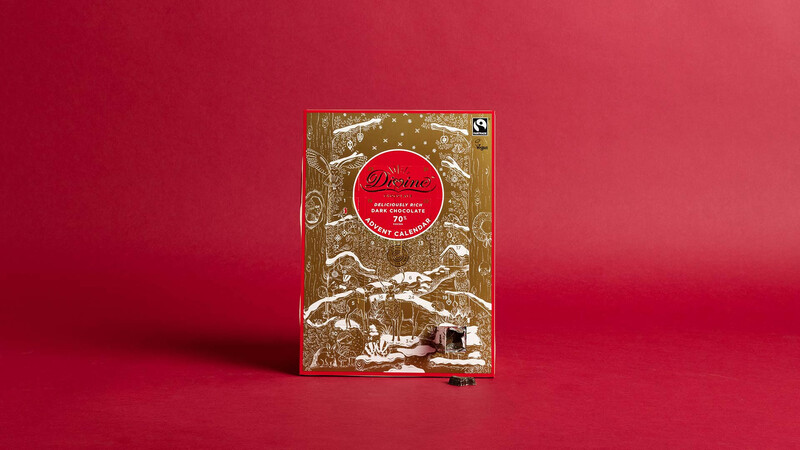 Divine is the only chocolate company in the world that’s 100% FairTrade and owned by cocoa farmers, which means that the people that produce its chocolate get a better deal for their cocoa and additional income to invest in their local community. 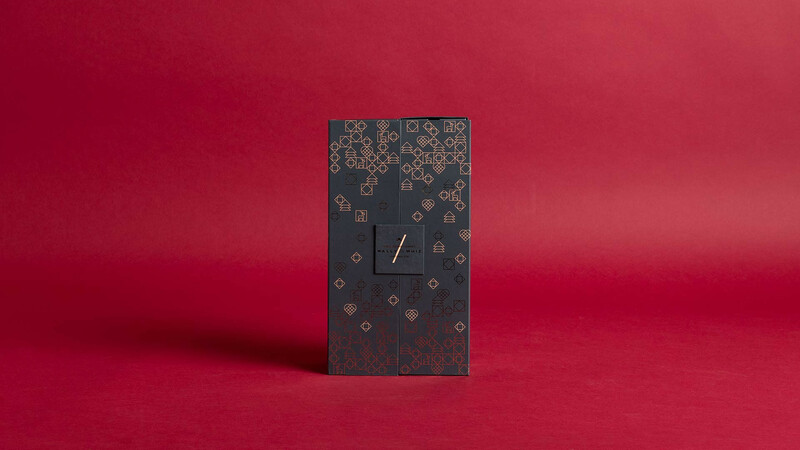 The chocolate in this particular calendar is deliciously dark – although it also comes in a milk chocolate variety – and is vegan, too.